<!-Eric Gill. 1882-1940--> Eric Gill. Letterhead for Reigate and Redhill Open Spaces and Footpaths Preservation Society. 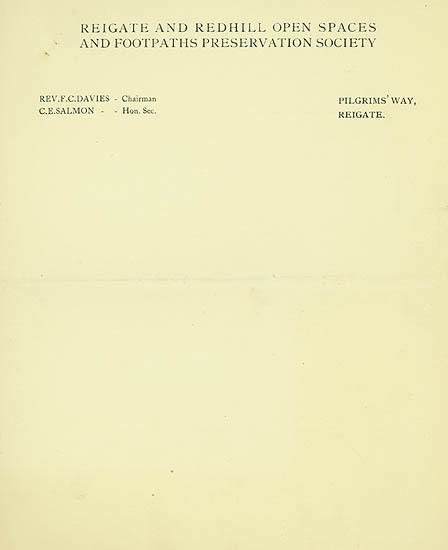 Letterhead for Reigate and Redhill Open Spaces and Footpaths Preservation Society. Sheet 9 x 7. Printed on cream wove paper. Fold across the middle. Unsigned. $75.